Whether shredding the hills at the Forks Area Trail System (F.A.T.S. 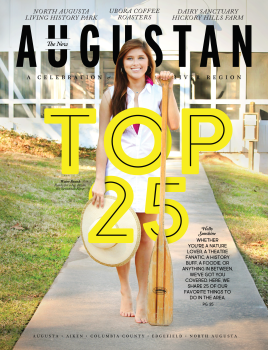 ), kayaking the Savannah River, or heading out for a night on Broad Street, Augusta has unique adventures to offer around every corner. The Savannah River and canal are not just the heart of Augusta, bringing life and trade to our city for 100s of years, but also run deep with excitement and opportunities for locals and visitors alike. This river town pulses with rich history and alluring innovation along its waterways and shores. Augusta is not only an exciting place for history buffs exploring Georgia&apos;s second oldest city but an authentic destination with a cultured culinary and art scene that beckons even the hippest of millennial travelers.